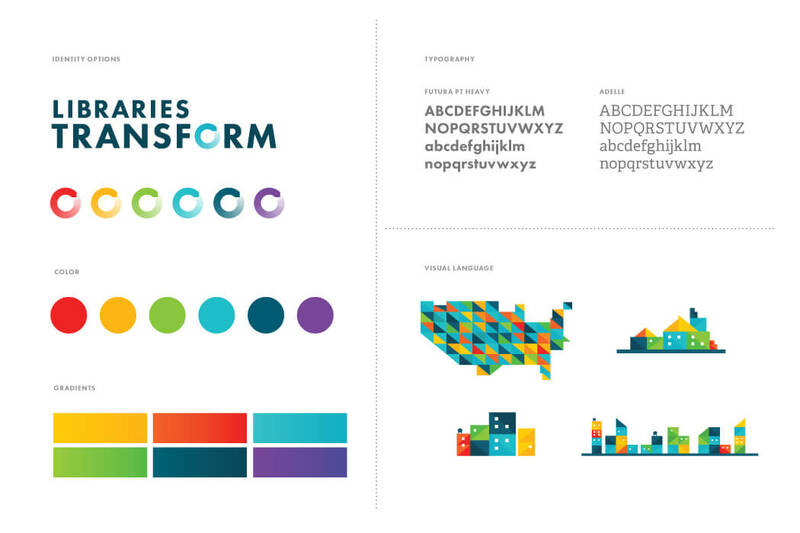 On October 29, 2015, the American Library Association officially launched the large, multi-year1 Libraries Transform campaign (along with corporate sponsor Overdrive). The objectives, as described on the campaign website, are to create awareness of how libraries are transforming their work, shift public perceptions to viewing libraries as essential services and engage library professionals to advocate. ALA created and launched the campaign and has now set it free into the world of libraries, letting individual libraries, library systems and library consortia implement it how they see fit (e.g. host events and parties, run contests, engage community and media). The campaign makes explicit the overall idea (“Libraries today are less about what they have for people and more about what they do for and with people.”) and key messaging. ALA appears to be trying to unify the messaging that users and media hear from participating libraries. Below, you’ll see the six posters/postcards created for the campaign (available in high-res PDF format on the Libraries Transform website). The posters use a very slight colour gradient, and the copy is written in all-caps in Futura PT Heavy. Not shown here, but available to libraries, are web banners that say “Because of you, Libraries Transform.” ALA is also selling large banners and window clings with the below messaging. One fascinating component of the campaign is the Trends section, which describes trends that may influence libraries as they pursue ‘transformation’. 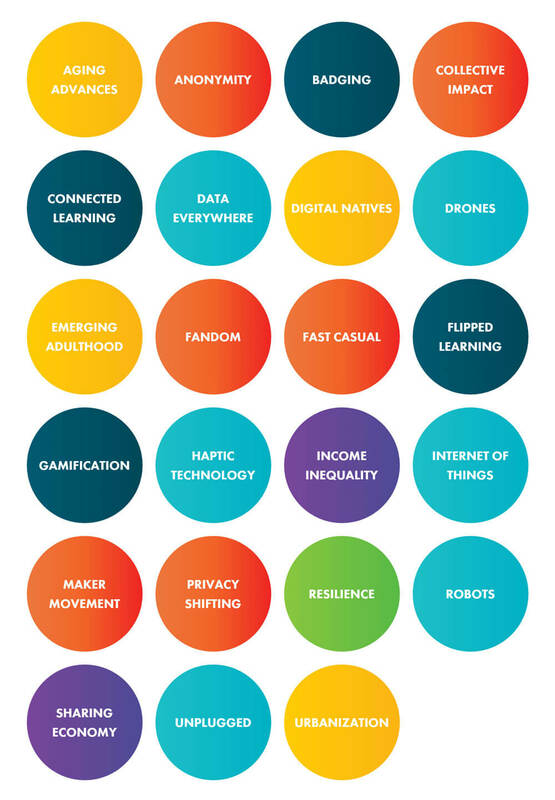 Example trends include fandom, drones, and robots. Design work on this campaign came from Little Jacket, a brand strategy and design firm out of Cleveland, OH. Below is an image taken from the Little Jacket project page, which includes the campaign colours and gradients, plus fonts and visual language. The primary icon for the campaign is the ‘o’ in transform, which is a circle with an arrow pointing back upon itself (almost like a loading screen icon, frozen). The tail of the circle is a faded colour gradient, which gives the shape a slight painterly quality.